Published by almostaghost on January 1, 2013 in almostaghost and review. 0 Comments Tags: Bonnie 'Prince' Billy, Glasgow, Kentucky, Louisville, Scotland, Top 2012 Countdown, Trembling Bells. 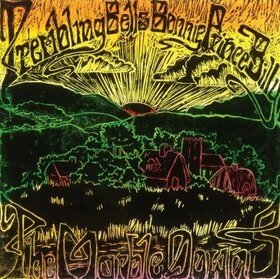 This, I believe, is essentially a Trembling Bells record–they wrote and performed almost everything, but the addition of Bonnie ‘Prince’ Billy as a singer on the songs is quite cool. Trembling Bells’ singer is like the opposite of Billy–soaring British female vocals mix with Billy’s earthy Americana voice. And together, they bring an edge to their swirling mad folk sound to these songs about beauty and destruction and destructive beauty and beautiful destruction.